clarification of IB Diploma Programmes and graduation requirements. In an effort to resolve these issues, this Q&A page has been created. Questions from teachers and administrators. Answers from TEA. Four years of Language Arts credits are required for the Foundation High School Program. IB students would normally complete English I and II, 2 years of IB Language ,and Literature or IB Literature. The current rule language will allow students to receive only one credit towards graduation. In other words, IB students must take an additional English course in order to graduate from high school. Will the following courses count for two graduation credits? These courses are two-credit courses. 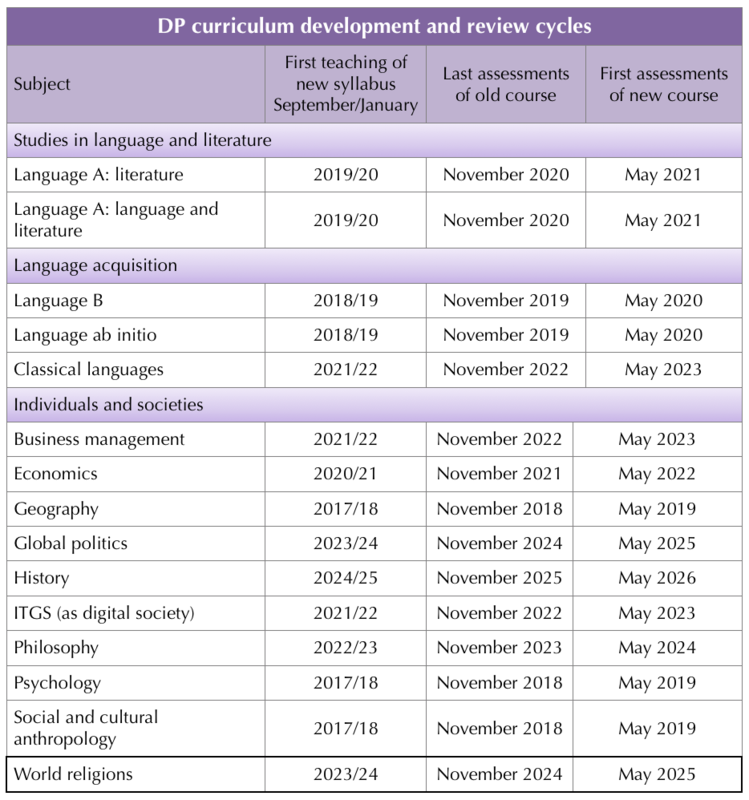 Each course may be able to satisfy one English graduation requirement. A course must be comparable to English III to satisfy the English III requirement. Each of these courses may satisfy the fourth English requirement. What recourse will schools have in order to ensure that IB students are able to earn four language arts credits and graduate on time? Students are required to select an endorsement by grade 9. All endorsements require students to earn a 4th credit of math and science. Since IB courses are taken over two years and can only count for one graduation credit, it would be difficult for most IB students to earn an endorsement. How could IB students earn the following endorsements? Science, Technology, Engineering and Mathematics (STEM): students must earn a 4th credit in math and science. In order to earn a STEM endorsement a student must earn credit for Algebra I, Geometry, Algebra II, and a fourth math credit. An IB mathematics course may satisfy the fourth math requirement. A student must earn credit for biology and either IPC, chemistry, or physics. The student may then select two additional science courses. A student could take an additional TEKS-based science course and an IB science course for the remaining two science requirements or two IB science courses for the remaining science requirement. Business and Industry: students must earn a 4th credit in math and science. A student must earn credit for Algebra I and Geometry. The student may then select two additional math courses. A student could take an additional TEKS-based math course and an IB math course for the remaining two math requirements or two IB math courses for the remaining math requirements. A student must earn credit for biology and either IPC, chemistry, or physics. The student may then select two additional science courses. A student could take an additional TEKS-based science course and an IB science course for the remaining two science requirements or two IB science courses for the remaining science requirement. Public Service: students must earn a 4th credit in math and science.A student must earn credit for Algebra I and Geometry. The student may then select two additional math courses. A student could take an additional TEKS-based math course and an IB math course for the remaining two math requirements or two IB math courses for the remaining math requirements. Arts and Humanities: students must earn a 4th credit in math, science and LOTE. Students are not required to earn additional LOTE credits for this endorsement. A student must earn credit for Algebra I and Geometry. The student may then select two additional math courses. A student could take an additional TEKS-based math course and an IB math course for the remaining two math requirements or two IB math courses for the remaining math requirements. This endorsement is intended to have the greatest flexibility. For this endorsement, a student who takes a total of four IB courses selected from English, math, science, social studies, languages other than English, or fine arts would be eligible for this endorsement. It is not four courses in addition to other IB courses taken. The TXSBOE approved 2 credits for IB Film SL and IB Film HL, in November 2018 - a preliminary vote. 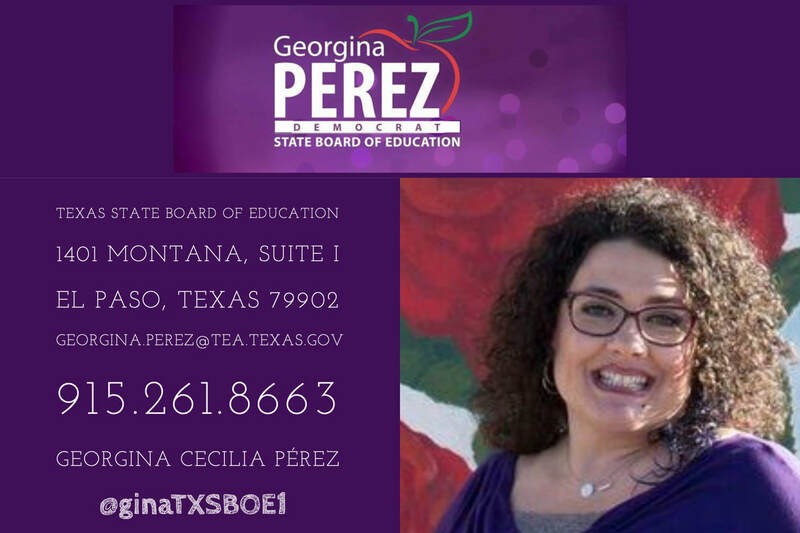 The final approval is scheduled for the January 2019 TXSBOE session. Please submit your public comments in the COMMENTS & QUESTIONS section below. IB fine arts courses that are listed under Dance, Music, Theatre, or Art TEKS can count as the fine arts graduation requirement. Most of the IB courses on the list below are included in level III fine arts courses. Many of the level III courses have prerequisites that also satisfy the fine arts requirement so by the time a student gets to level III s/he has likely already met the requirement. Will the following IB courses receive 1 or 2 credits? Will the above courses meet the fine arts requirement under the Foundation High School Program? There are two IB Diploma courses that do not easily fit into any of the existing subject groups. 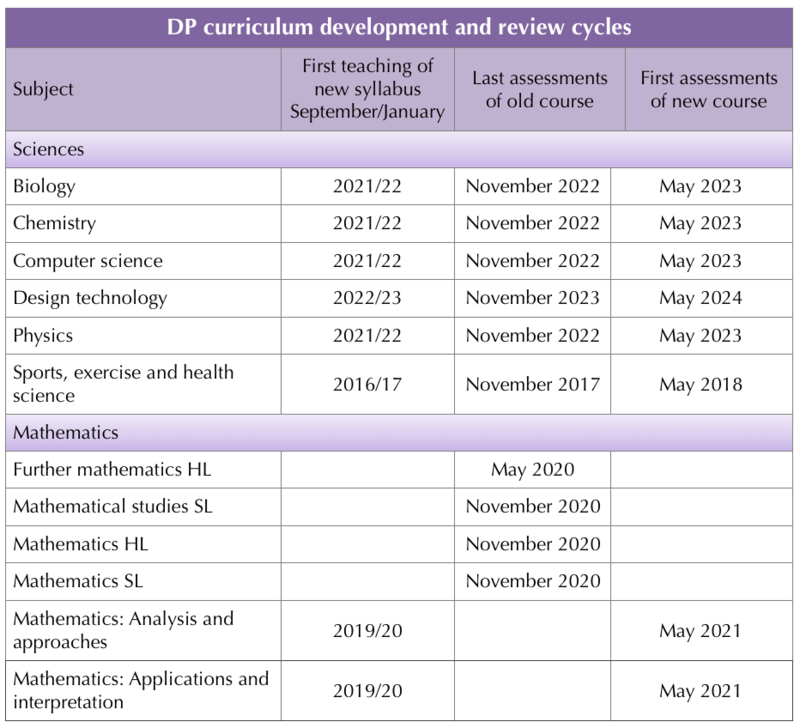 ​IB courses go through a 7-year review cycle. The six subject groups are reviewed on a staggered cycle. 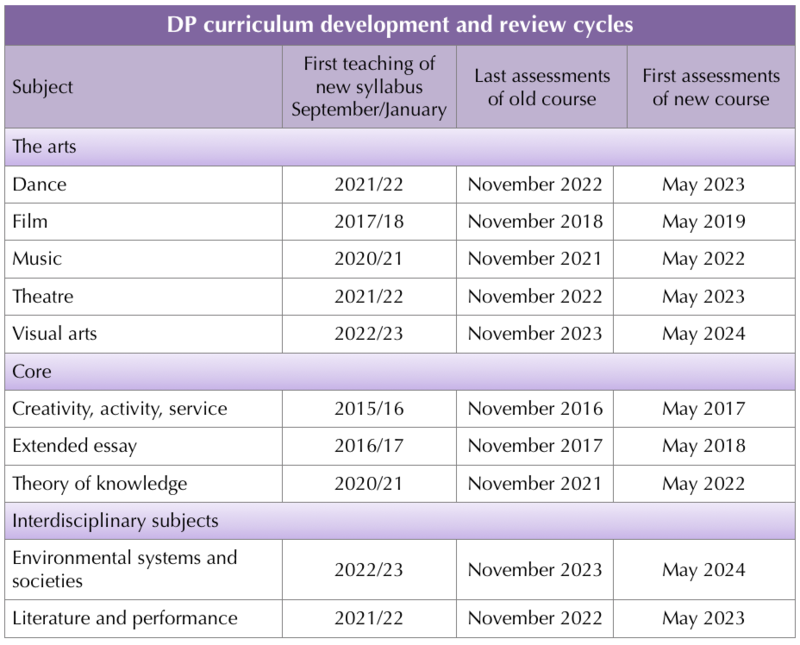 The review cycle consists of (but is not limited to) revisions to the curriculum (to include course name changes), course elimination, and course creation. The IB curriculum review schedule is included below. ​What is the protocol for updating the TXSBOE rules to reflect changes in IB Diploma courses? TIBS should notify TEA a sufficient amount of time in advance of when a change is to be effective so that TEA can place necessary revisions on the next appropriate SBOE agenda for possible action. Send your comments and questions. If you share an email address, the response will be sent there as well as to this page.